joybauer.com / Food Cures﻿ / Research a Condition﻿ / Weight Loss / Lose weight by eating more? Yes! Tired of munching on carrots and celery? The non-starchy vegetables on the Drop 10 “unlimited list” can be a great way to keep a lid on hunger between meals, but plain ole raw veggies can admittedly get a little ho-hum. Here are some easy ways to heighten the flavor and add a bit more fun to these freebee nibbles. Microwaving veggies can help bring out their natural sweetness. I love using this cooking method for green beans and snap peas (just 4-5 minutes! ), but no veggies are off limits. With just a dash of seasoning along with a baking sheet, roasting helps to caramelize veggies—completely transforming them into tender and sweet bites of goodness. Some of my faves? Lay fresh broccoli florets or spears on a sheet pan, spritz with olive oil spray, and sprinkle with garlic powder and a dash of salt. Roast at 420˚ for about 20 minutes or until tops are browned and crispy. And, definitely whip up this easy recipe for Roasted Tomatoes. 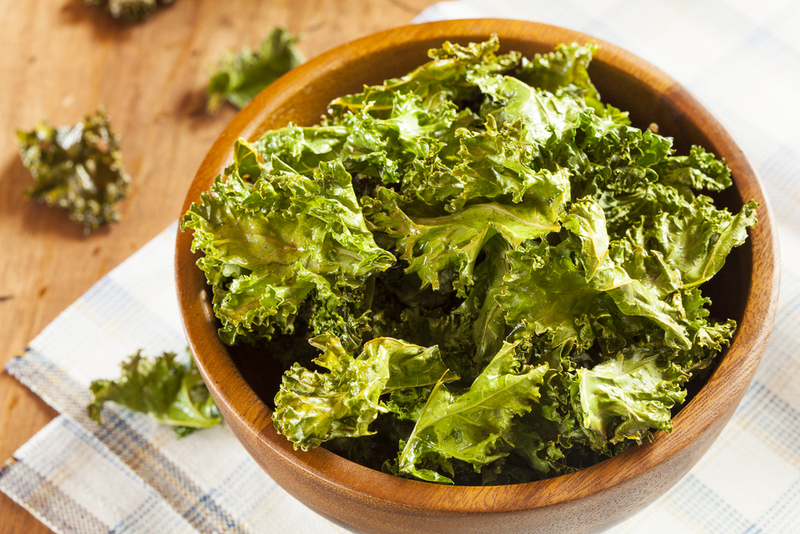 There’s nothing like the satisfying crunch of baked kale chips. Give this tasty recipe a try. Pureed vegetables lend a thick and creamy texture to many soups without adding any fat or calories to your bowl. Simply boil any combination of non-starchy vegetables (some of my favorite are carrots, onions, cauliflower, mushrooms and broccoli) in reduced-sodium broth, then puree using an immersion blender (or traditional blender). Finally, spice it up using any seasoning you like—think oregano, garlic and onion powder, cumin, cayenne, cumin, salt and pepper. Ta-da! When in doubt, take a skinny dip. Low-cal dips like salsa, hot sauce, and mustard are a simple way to enhance the flavor of good-for-you veggies. 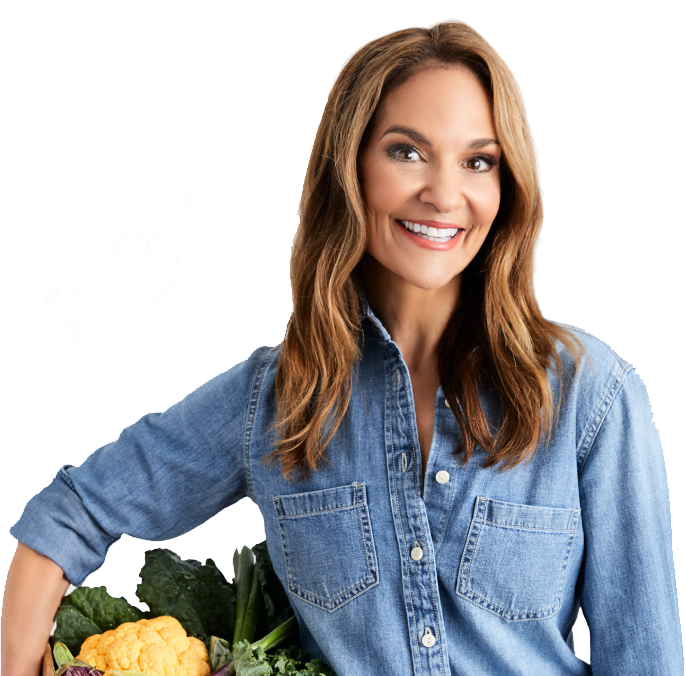 Check out this video of me explaining all the delicious ways you can enjoy the non-starchy veggies on the freebie list in 60 seconds flat!